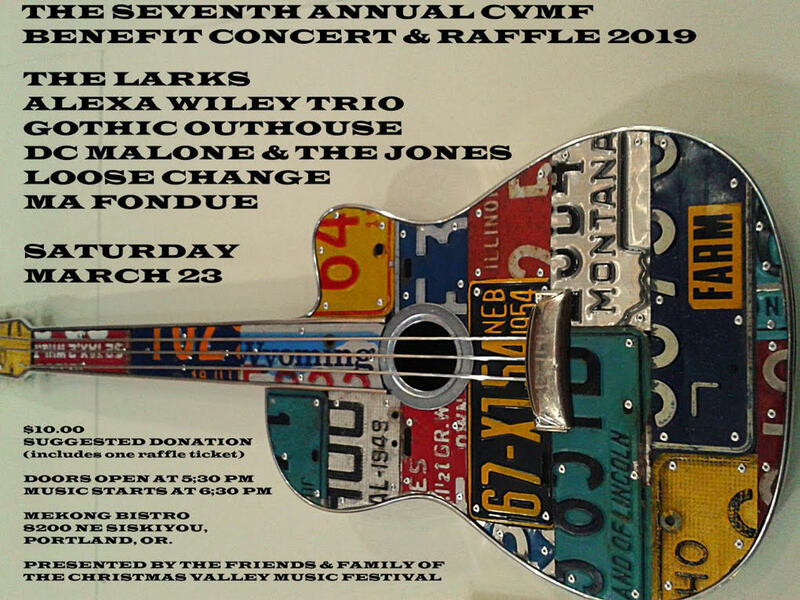 Thousands of dollars worth of goodies, gift certificates and services from dozens of local businesses and many more from the Friends and Family of the Christmas Valley Music Festival!! Christmas Valley Highway, Christmas Valley OR. This annual event, put simply, helps children and is a blast! Children of North Lake County, Oregon. We do this by supporting liberal arts programs in their Public School System, providing a yearly College Scholarship to a deserving High School Student and donating to the High Desert Brain Food Program which provides children with nutritious meals when school is not in session. Each year we try to expand our outreach into the community. Along with our two annual fund raising concerts, this year’s plans include school assemblies, concerts and presentations to encourage students to attain their scholastic and artistic goals while inspiring those that follow to do the same. CVMF is a fully accredited 501(c3), thus all donations are tax exempt, should the donor wish. You can use our PayPall account to donate to the cause.